'No reira, tena koutou, tena koutou, tena tatou katoa. 'My pepeha (above) is one I have given over the years at education meetings and events. Now, I have a part-Maori granddaughter and Maori tikanga (culture) has become more important to me. 'Wendy covered a great deal of my life in welcoming me to Plimmerton Rotary Club. I hope this self-introduction of a snippet of my life will be a trip down memory lane for those in my age group and perhaps a history lesson for our younger members. 'Born in Marton, I was raised on a sheep farm near a tiny community called Waitotara, about 20 minutes north of Wanganui. 'The property ran some cattle and my father, the manager, leased some of the farm from the owner to run a few cows that provided milk and cream for the three “bosses’’’ families as well as us. He killed wethers for weekly meat for the same families. 'Before I move onto my school days I want to mention our telephone. It hung on the passage wall and, unlike the one in my picture was a black heavy plastic. Our number 40S, had a call signal of three short rings. To telephone anybody we turned the handle quite vigorously which connected us to the local telephone exchange who then connected us to the number required (and could remain listening if they so-desired). Ours was a party line meaning about five families were on the same line. Picking up the receiver to ring the exchange we were required to say “Are you working please?” If another party line person was already using the phone we would apologise for interrupting and hang up. A turn of the handle signalled a hang up so we could hear when the line became free. Later our exchange became automated so we could dial a number directly. 'How times have changed. Nowadays my i-Phone is my phone, messenger, Face Time and Skype, clock, alarm, calendar and diary, shop, newspaper, weather forecast and reporter, GPS, camera and photo album, recipe book (Paprika APP is superb), Solitaire board, email, dictionary, thesaurus, encyclopedia, white pages, radio, earthquake recorder and notifier, bank, calculator, grandchildren’s swimming instant recorder, and grandchildren’s game machine to name just a few of my applications. 'School was at Waitotara – all of 100 pupils, give or take in any year. About 75% Maori children and yet I learned nothing of Maori tikanga (culture and traditions) until I was an adult and sought that knowledge and understanding. 'The school was too small for a bus so the local elderly Packard taxi covered the two bus runs. I didn’t like the taxi so as soon as I was old enough (about 7) I rode my bike the 3 miles to the village. 'Subjects were not as varied as they are today and yet we got a well-rounded education, whilst there was a concentration on the basics – the 3Rs. We used so-called scratch pens. Later came fountain pens and then biros. I enjoyed being the ink monitor i.e. filling the ink wells on every desk before school each day. 'Being milk monitor also got us out of class for a few minutes just before morning playtime. The milk in its glass pint bottles had, of course, sat in the sun at the school gate from early morning. 'Milk drunk or surreptitiously tipped out, we played. Skipping, mainly with long communal ropes, knucklebones (I was quite good but my sister was a regional champion), marbles. 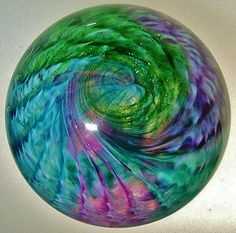 Remember dropping the Tom Bowlers onto someone else’smarble to claim it as your own? My sock was always full. It was later passed on to my son. 'We played the games like Bullrush, Queenie, Statues, Hide and Seek, Hopscotch, What’s the Time Mr Wolf? Piggy in the Middle, Dodge Ball, Blind Man’s Bluff, Cowboys and Indians, Leap Frog, climbing trees, ring-o-roses, tug-of-war, etc. 'There were Ludo and Snakes and Ladders on wet days though as a prodigious bookworm I usually found a quiet corner to read. We were busy. No boredom here without electronic devices. 'Friday was test day – spelling and tables. Line up in the corridor for one strap (cut) for each mistake! I remember one day when a lad called Legs (for obvious reasons) was about to be strapped for being cheeky. He jumped out the half height folding windows and was gone. The teacher, Mr Short, by name and stature, couldn’t manage to do the same and so lost his quarry. 'Calf Day was a highlight. We baked scones and biscuits for the competitions, created sand saucers and miniature gardens judged by local gentry, had treat stalls around the playground and paraded our pets – calves, lambs, rabbits mainly in hopes of getting one of the winners’ ribbons. No thought of those children who won nothing. No-one seemed to be psychologically damaged when they won nothing. 'Athletics Day was just as popular and included three-legged races, sack races, wheel barrow races, egg and spoon races as well as all the usual ones. Our 9-aside basketball (nowadays called 7-aside netball) and rugby teams competed fiercely around the District. 'When I was 11 we moved to a farmlet at Westmere near Wanganui and I attended Wanganui Girls College – another whole story of uniform conventions, deportment lessons, young ladies’ behaviour and etiquette. 'No reira, tena koutou, tena koutou, tena tatou katoa'. Original generation time 1.5432 seconds. Cache Loaded in: 0.0432 seconds.